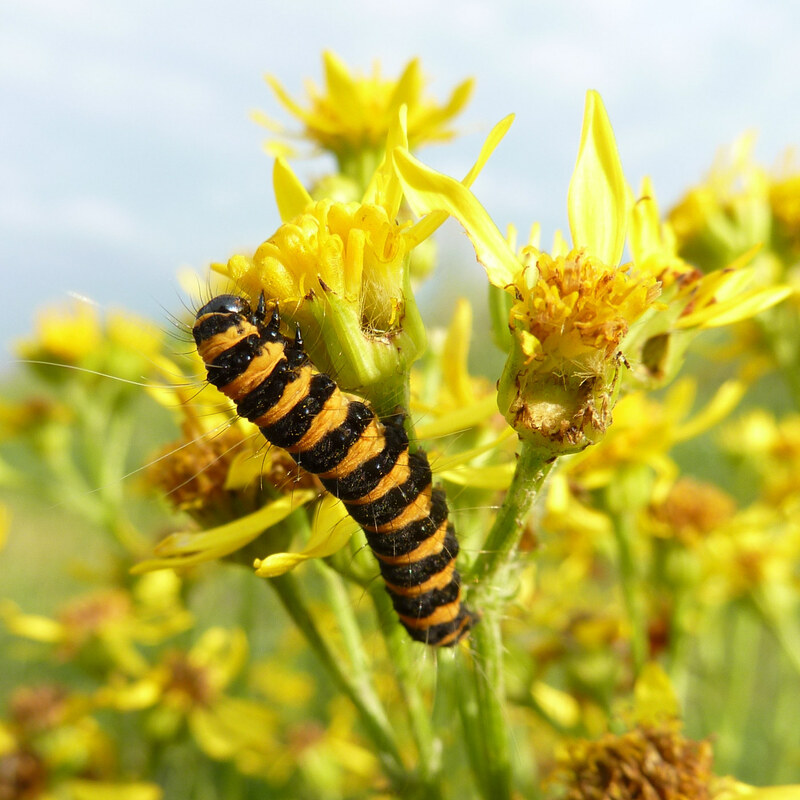 Certain insects, such as the African variegated grasshopper (Zonocerus variegatus) or the cinnabar moth (Tyria jacobaeae), native in Europe and Asia, feed on toxic plants in order to protect themselves from predators. A working group at the Botanical Institute at Christian-Albrechts-Universität zu Kiel (CAU), together with scientists from Technische Universität Braunschweig and the City University College, New York, have published findings on this phenomenon. As of yesterday, 20 February, these can be found in the scientific online journal PLoS ONE. The Kiel scientists from the field of biochemical ecology have been studying for more than ten years how particular insects ingest plant toxins and store them within their own bodies. 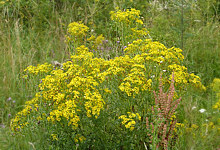 These toxins, the so-called pyrrolizidine alkaloids, are found for example in ragwort (Senecio jacobaea), a common wild flower in Eurasia. These plants have been repeatedly in the news over the past few years, e.g. as contaminants in rocket lettuce or as compounds causing intoxication of grazing livestock. The scientists now showed that the African grasshopper has developed a specific enzyme, allowing it to store plant toxins for self defence. An almost identical enzyme was found a few years ago in the European cinnabar moth. “The most exciting aspect of this finding is that evolution has developed such a complex mechanism twice in two very different species”, says Professor Dietrich Ober, head of the working group in Kiel. Poisonous plants use alkaloids as chemical weapons to protect themselves from being eaten. When animals consume these plants, they ingest the alkaloids which are initially harmless. In the digestive system, the substances are converted into toxins. The enzyme identified now allows insects such as the cinnabar moth or the African grasshopper to re-transform the alkaloids into their non-toxic state for safe storage in their bodies. Usually, the insects signalise the fact that they are poisonous by bright colours and unpleasant taste. Due to this effective self defence mechanism, the African variegated grasshopper does not have many natural enemies. 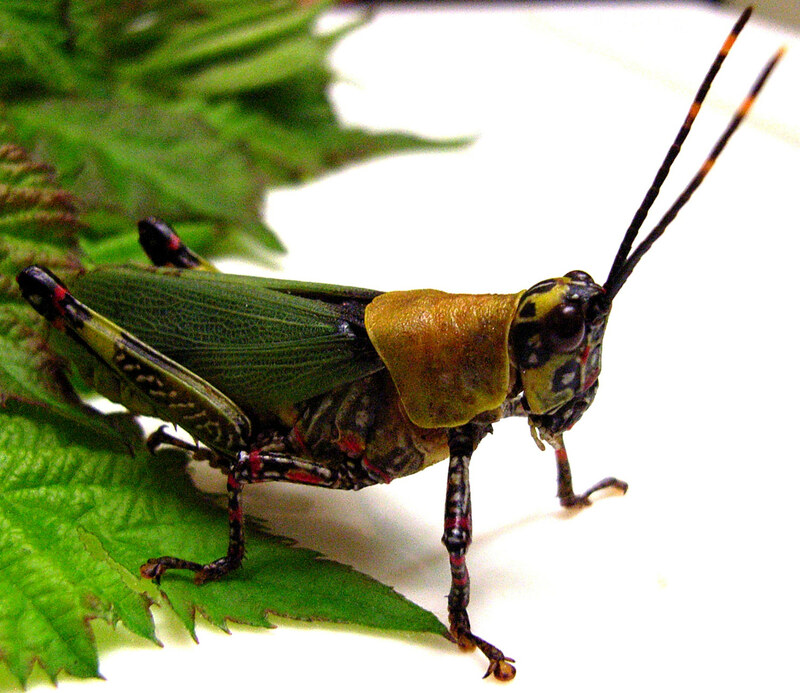 For this reason, grasshopper plagues occur frequently, often destroying entire harvests. 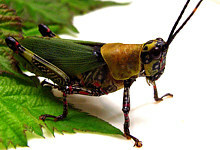 Ober comments that, “as the variegated grasshoppers are actually attracted by the alkaloids, it may be possible in the future to use them as bait in traps to curb such plagues more efficiently”. 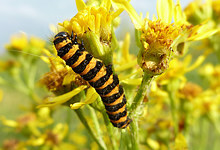 Caption: The cinnabar moth caterpillar feeds solely on tansy ragwort, which is poisonous for animals and humans. 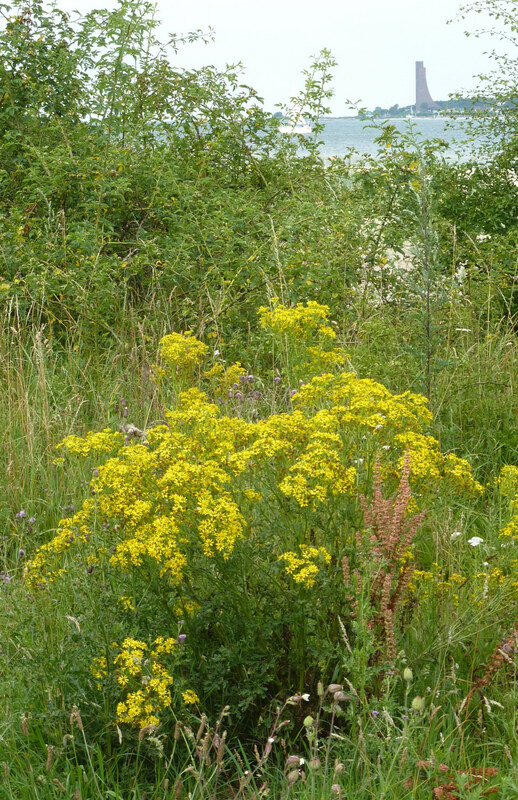 Caption: Tansy ragwort on the beach near Kiel, Germany. Caption: The West African variegated grasshopper employs the same mechanism as native moths to use plant toxins for their own protection.